It is hard to reinvent the bedsheet-ghost costume—trust us, we’ve tried. 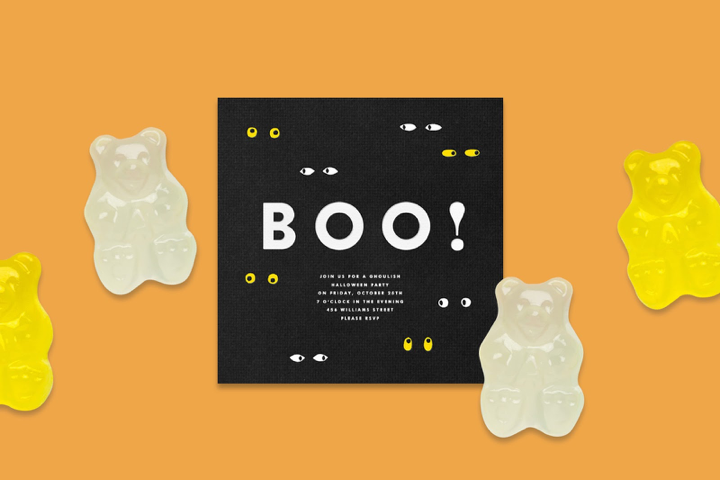 We wanted to find a new view on Halloween for little monsters, so we turned to one of the coolest moms we know: Erin Jang, the designer behind The Indigo Bunting. Equal parts mod and mischievous, her designs are kid-friendly but sophisticated enough for the grownups. Whether the topic is edible arrangements or how to put together a costume from spare parts, she’s got experience and inspiration to spare. What’s your favorite Halloween costume you’ve made? 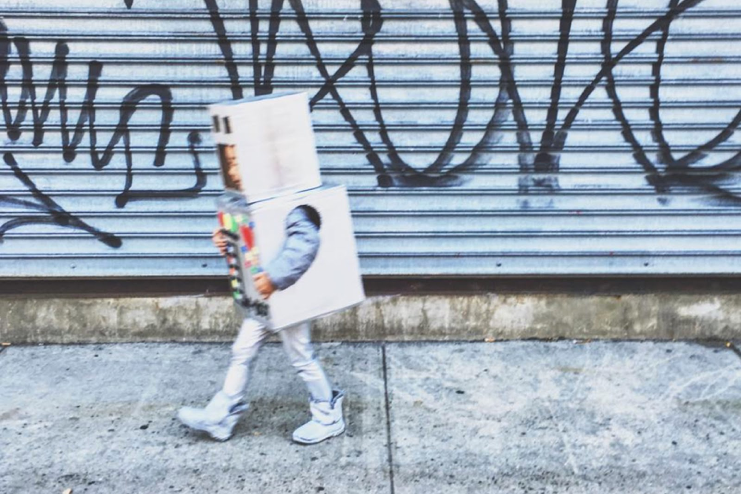 My son’s robot costume a couple years ago! We try to not spend too much on a homemade costume, and try to think about what we have at home. He already had a grey jacket and we bought silver leggings from American Apparel. We found some super-discounted boots (for a few bucks!) at Walmart, and spray painted the shoes and some Amazon boxes silver. He loved this costume so much—we still have it around the house! What do you bring to a Halloween party at school? 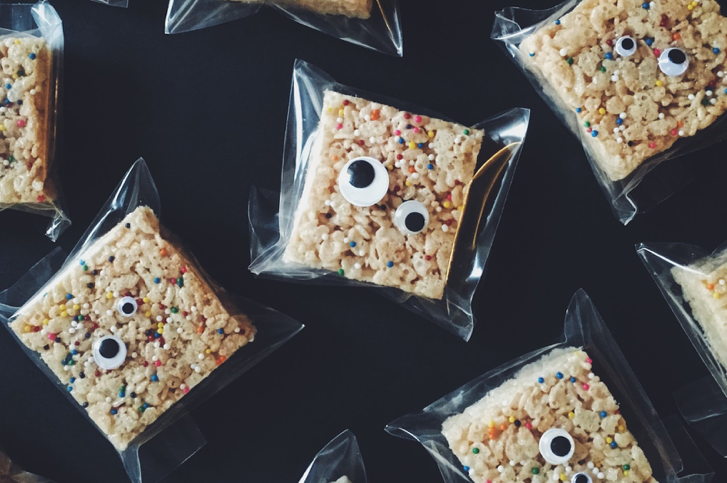 I’ll make something easy and make-ahead like Rice Krispies, decorated with sprinkles. I like to put each square into a plastic sleeve and attach some googly eyes to the top for extra fun. What do you put out for trick or treaters? We are big gummy fans in our house, so we love giving out mini bags of Haribo gummy bears, Sour Patch Kids, and fruit snacks for the children in our building (with the hope that there will be plenty of leftovers for us…). Feeling ready for some candy and costumes yourself? Browse our Halloween invitations.